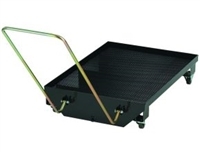 Heavy-duty all steel tank stands up to the harshest environments. 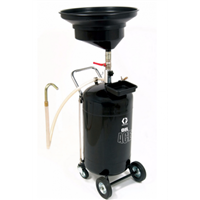 24-gallon capacity allows user to perform more oil changes before having to evacuate the unit. Removable plastic drain bowl expansion funnel with built-in filter screen provides support for draining oil filters. Built in fluid gauge lets operator see the oil level in the waste oil drain. 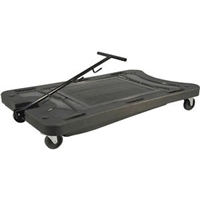 4 wheel design allows easy maneuverability, including on uneven surfaces. 1" Drain plug on the bottom of the unit for easy cleaning.